I did buy these trousers with the full intentions that I was going to wear them to fashion week but my ideas soon changed and I decided to rock them on yet another trip to my favourite London Steak pop-up, Flat Iron (I talk about it here, just check them juicy snaps!). I adore the print of these trousers, they remind me of William Morris and some wallpaper that my parents had in their old house. I like the monochromatic print with the colour pops, It just some how works. I also had the matching jacket that goes with these but I decided to send it back as I didn't really want to wear it as a co-ord in the end. While I did think it looked uber cool, I just… I dunno. Im being pedantic but there was something about it that was not quite right. I might still end up wearing these to Fashion week but at the moment they are in a reserve outfit pending the discovery of an item I really want to go with them but cannot find them for the life of me! The top is similar to my Zara croc print one but quilted, obviously. It cost a fraction of the price too, which is always a cheeky lil' bonus! I talk about it a little in my Primark Haul which you can see over on my channel. I also found some Arabel dupes on eBay for the fraction of the price I paid for mine. They arent the same but they are similar so if you want a cheaper (and still on sale) version of the boots I have the ones linked will give you a similar look! I actually prefer the shape of the ones I've linked. They give a much griller but grungy look that would look super nice with a floaty dress! you look gorgeous,love the printed pants! love your trousers! it's perfect for warm evening! Those trousers are amazing! I really love the print. 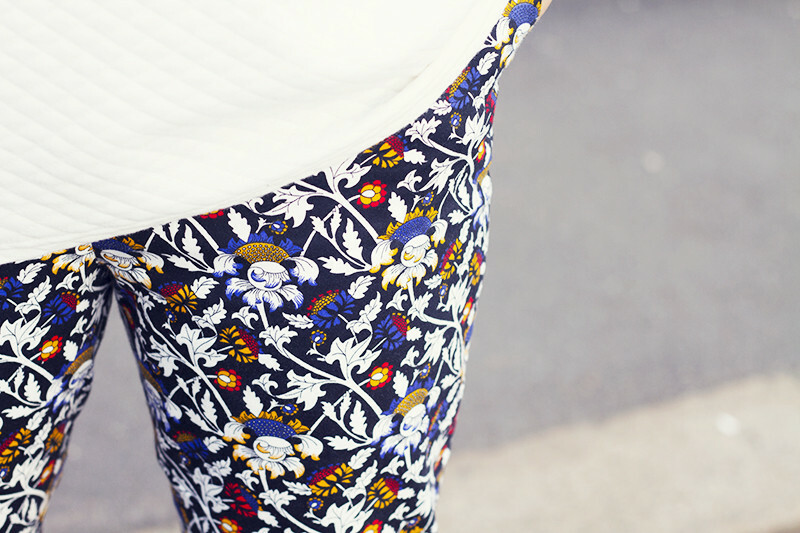 Gorgeous print on these trousers, and they look so good with the quilted top! Can't wait to see what your hair looks like once it's done! a big yeah! you are so lovely! 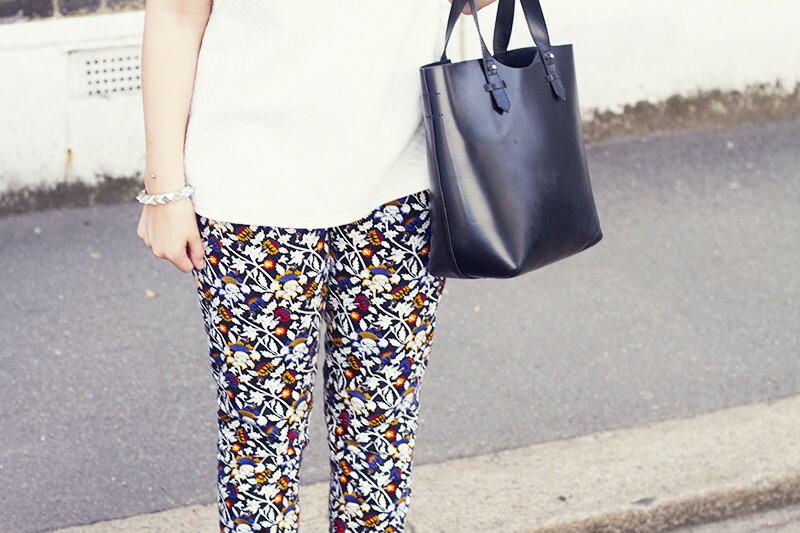 Loving the print trousers, they work really well for you. I need the confidence to wear stuff like that more often! I love your trousers, it fit you really well! I do love the pattern of these trousers! love those shoes! and the print on your trousers - great look. You look so pretty ! I love the outfit ! 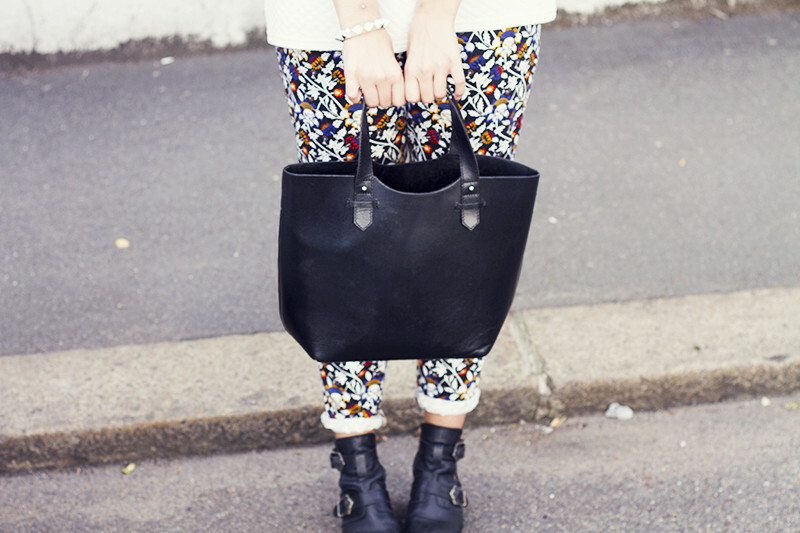 A bit in love with the print on those trousers!!!! Love those pants, they are gorgeous! You inspire me to try out more edgy styles - looking fabulous! Up to 80% off Urban Outfitters and many more designer labels at our sample sale this Fri and Sat in Chelsea Old Town Hall. Love these trousers and also love anything quilted! Love this! Those trousers are beautiful, highly doubt I'd be able to pull them off though haha. picked up this top and then put it down, regret! Them trousers are seriously probably the nicest pair of printed trousers I have ever seen and paired with a plain white top and black boots, make the trousers so much more vibrant, love love how you styled this look! the link to the boots isnt working! :( wah! need them (or something similar) in my life! I love the pants. Printed pants are so in right now! You look so beautiful in these pictures! I really love your bag too! It's gorgeous! What a bag and trousers! I love your style so much and after watching your videos as well as reading your blog I find that we can be quite similar at times!! These trousers are so nice! This is such a flattering outfit, really elongates your legs! 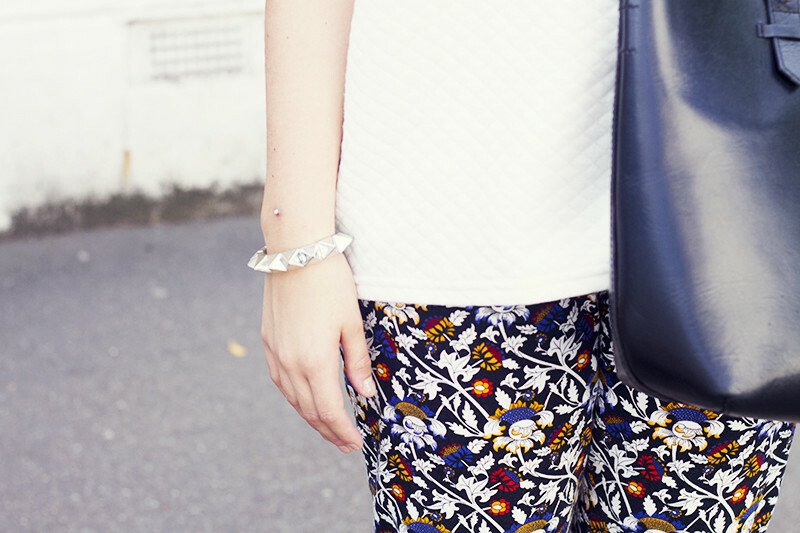 Very summery style, I'm dying to get some printed trousers like these! You look great. Again with the textured simple tops. Love it! Love the trousers! I am on a mission to find the perfect printed trousers that i can wear with heels and boots! 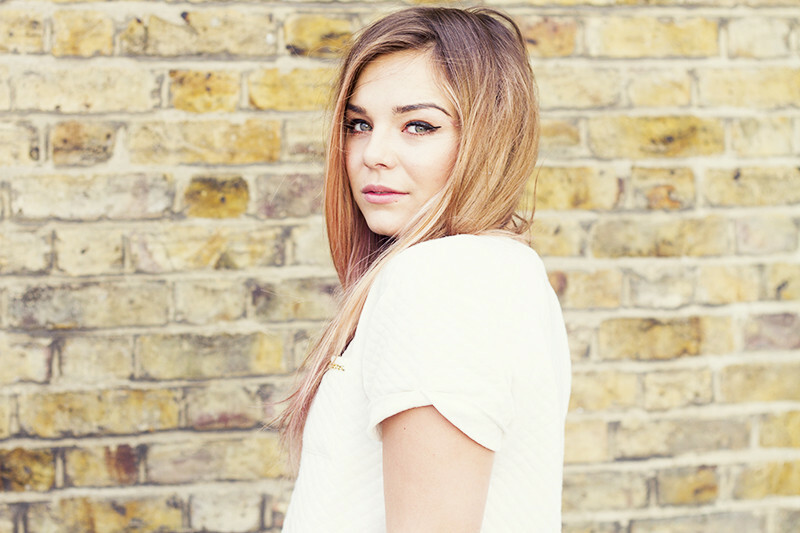 I adore primark and this look, Lily! This looks great i love all the accessories you've teamed up with it too, and did I spot you have a dermal implant/piercing? Looks fab! Love this look, something so simple but yet powerful! May have to get print trousers and step more out of my comfort zone! I happen to love the print on those trousers, but then again I'm a sucker for a print! And I love the Topshop boots!